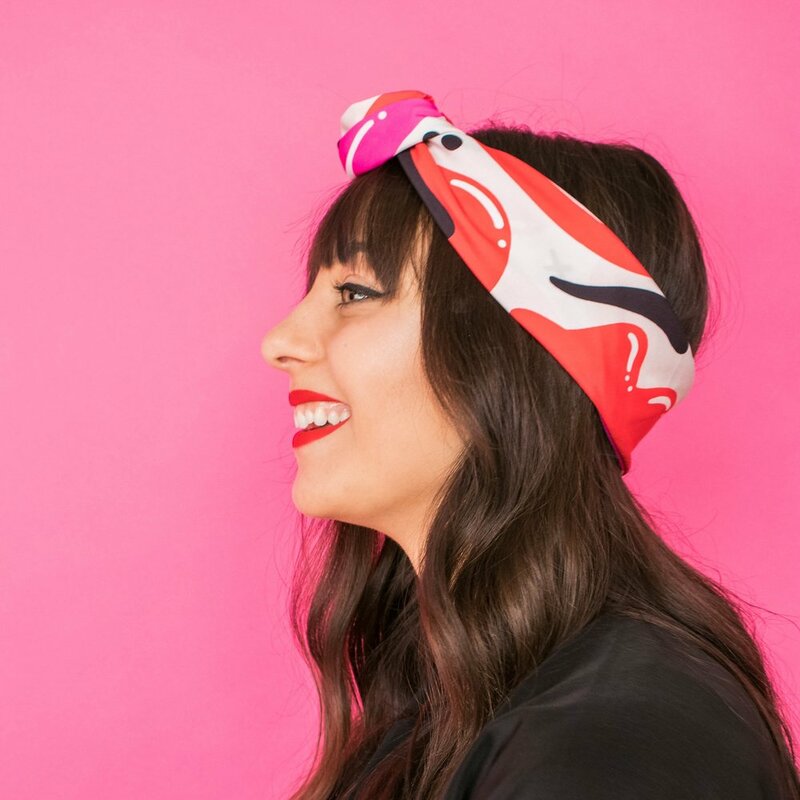 Our one-sized furoshiki scarf is peak versatile – Tie it. Wrap it. Wear it. Carry it. Switch it up any way you like. Pick two opposite corners and fold scarf into one triangle. Bring pointy ends up to meet the top. Fold-roll the rest up to make one long line. Fluff up the knot and you’re gold. Roll up wider to switch it up. Make one right over left and leave out the last knot. Complete steps 1-3 of the classic neck scarf. Bring scarf behind your head, smoothing hair as you go, and bring ends to front. Wrap ends in a circle around the top and tuck in loose ends. Complete steps 1-3 from classic knot. Fluff out bow and ends. You can experiment with bow size too. Get on your way boss lady! Tie one knot and let the ends hang. The ingredients for one happy bag! Place gift in the middle and place scarf on a diagonal. Fold down top corner and tuck under, if needed. Bring bottom corner up and over. Bring both loose ends together. Can’t go wrong with a classic bow. There are definitely more ways to tie our square scarves and we’d love to see them. And as always, every Nuno piece is made of 100% NeoSilk™— the softest post-consumer recycled PET plastic bottles you’ll ever feel.